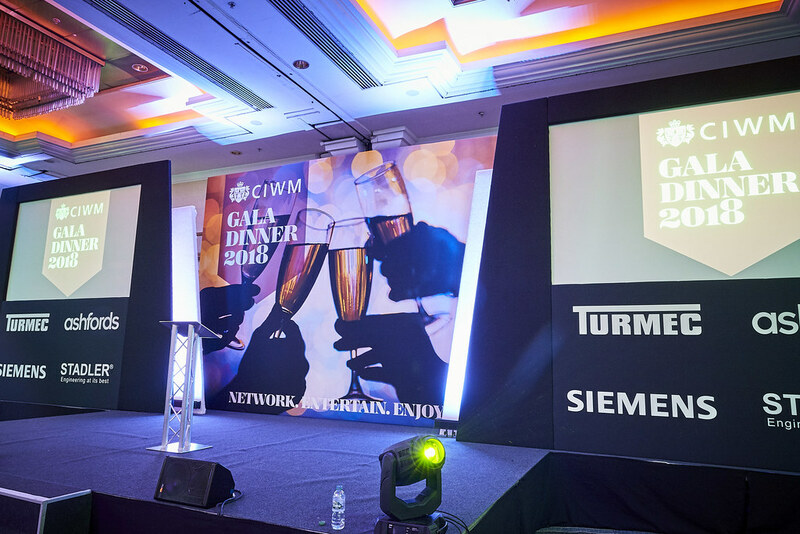 The CIWM Gala Dinner is the sector's most popular social event, providing guests with the opportunity to enjoy an unmissable evening of networking, fine dining and first-class entertainment. The event takes place on the first evening of RWM and brings waste, sustainability and resource professionals from a wide range of industry sectors together for an unmissable night of networking and entertainment. Watch this space for further updates on the CIWM Gala Dinner 2019. Contact Victoria Knight at victoria.knight@ciwm.co.uk or call 01604 823342 for more information or book your place or table here. For 2019 sponsorship opportunities, contact Ginny Hunter at ginny.hunter@ciwm.co.uk or call 01604 823346.